The leader of the Catholic Church gave an affirmative message to a survivor of child abuse. A gay victim of sexual abuse said he received a moving message of support from Pope Francis. Juan Carlos Cruz met with the leader of the Catholic Church last week, in order to discuss the abuse he suffered at the hands of Father Fernando Karadima. The Chilean Catholic priest was found guilty of sexually abusing minors by the Vatican in 2011, and Cruz is one of the survivors. In an interview with the Spanish newspaper El País, Cruz recounted how the subject of his sexual orientation came up during the meeting, because it was used against him by some Latin American media outlets, which sought to smear him as a pervert and a liar about his abuse. “He told me, ‘Juan Carlos, that you are gay does not matter. God made you like this and loves you like this and I don’t care. The pope loves you like this. You have to be happy with who you are,’” Cruz said in the interview, as translated by The Guardian. This is not the first time the pope has made headlines for remarks about the gay community — although it is his most supportive comment to date. 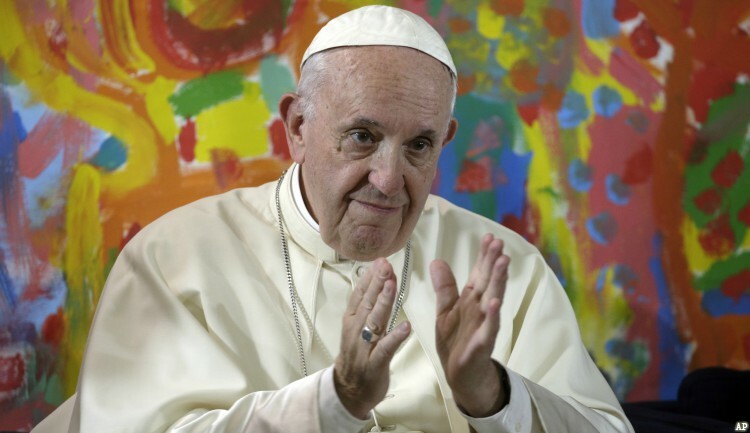 “Who am I to judge?” he famously said in July 2013, in response to a question regarding the existence of gay priests. Afterward, The Advocate named Francis as its Person of the Year. "LGBT Catholics who remain in the church now have more reason to hope that change is coming" in a religion that has been slow to evolve on its views on queer people, wrote editor in chief Lucas Grindley.